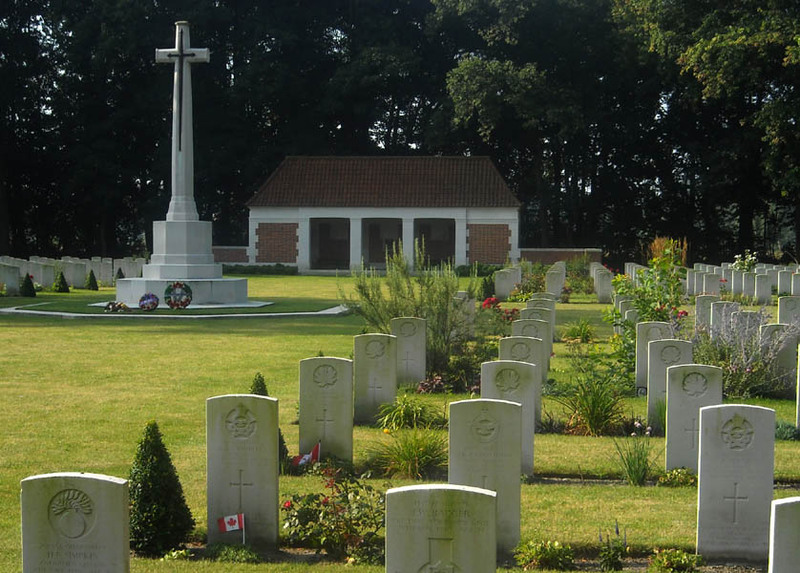 Adegem Canadian War Cemetery is located between Brugge and Gent. 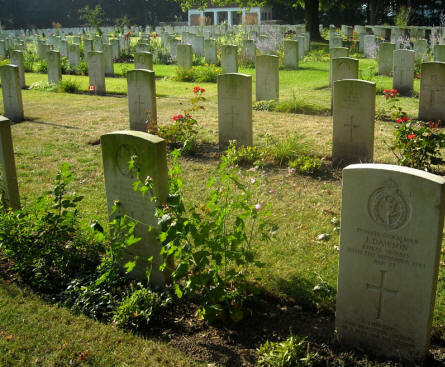 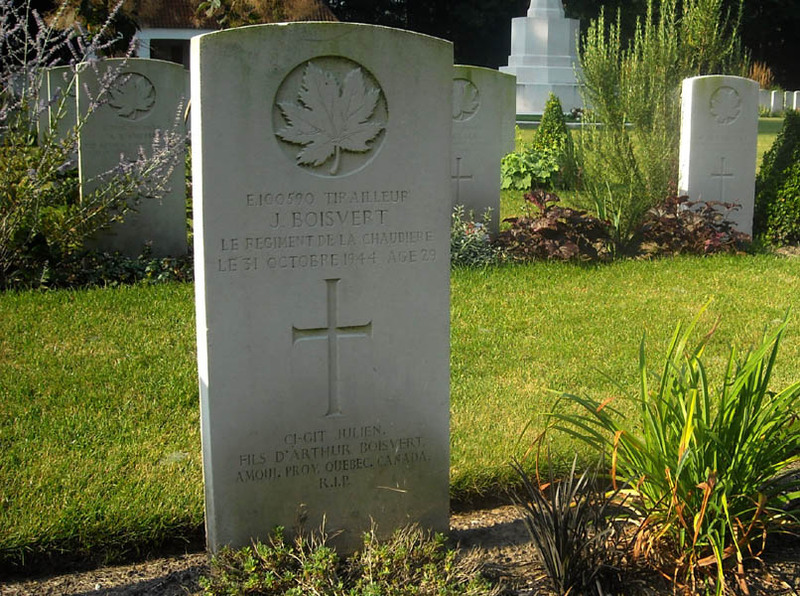 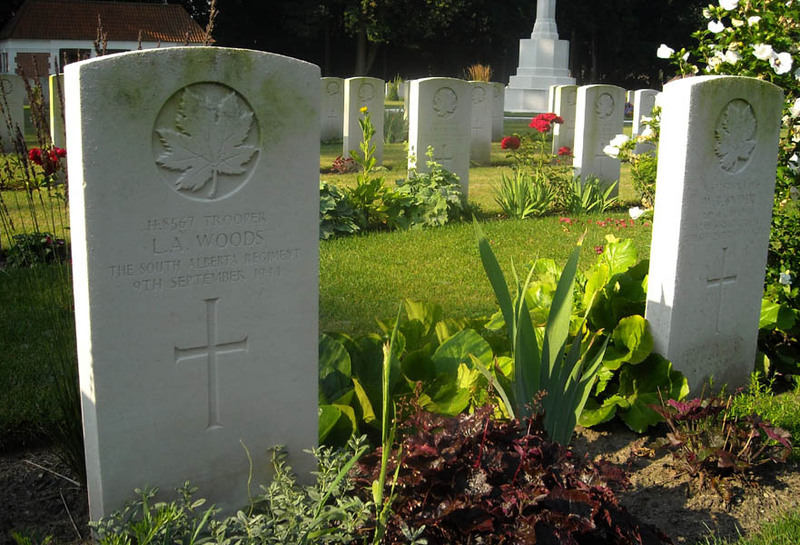 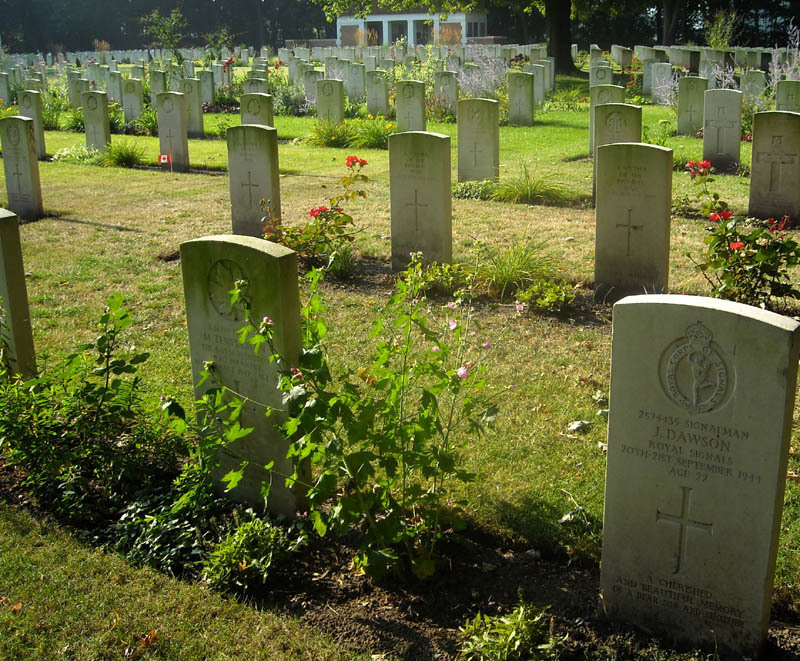 The cemetery contains 1,119 Commonwealth burials of the Second World War and one unidentified burial of the First World War. 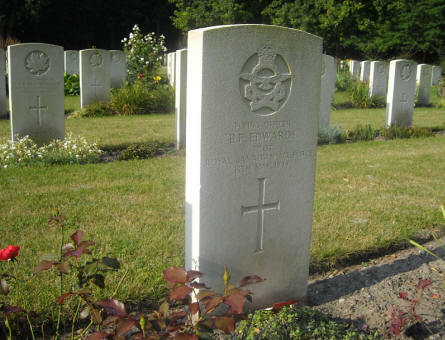 33 Polish and two French war graves can also be found at this cemetery. The grave of Flying Office B.F. Edwards (died on the 13th of May 1944) at Adegem Canadian War Cemetery. Some of the many war graves at the Adegem Canadian War Cemetery. 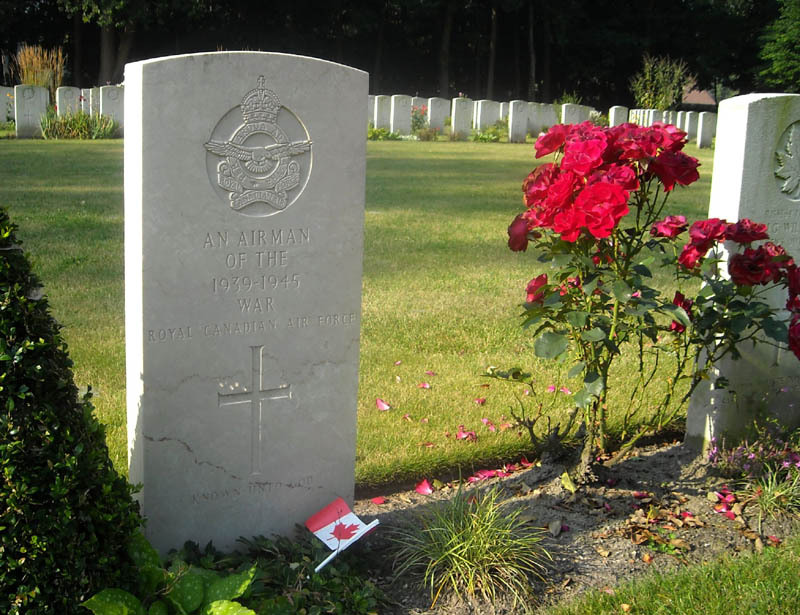 One of the graves with French writing at the Adegem Canadian War Cemetery. The grave of "An airman of the 1939-1945 war" at the Adegem Canadian War Cemetery. 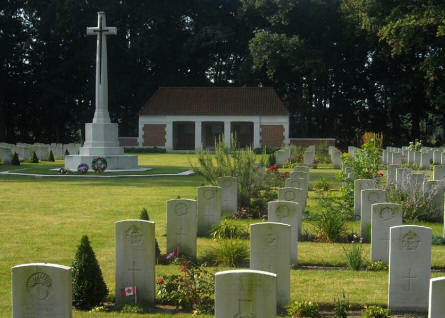 Some of the many war graves at the Adegem Canadian War Cemetery - and the central cross at the cemetery.